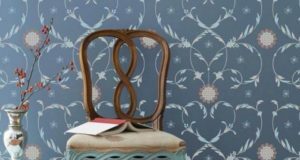 Are you ready to take your stenciling up a notch? 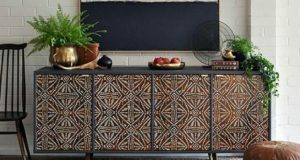 Of course Stenciling looks amazing when you use paints, acrylics and our amazing stencil cremes but we wanted to share a few alternate ideas for stenciling your way to wow! So get your Royal Design Studio Stencils ready for new transformation adventures! 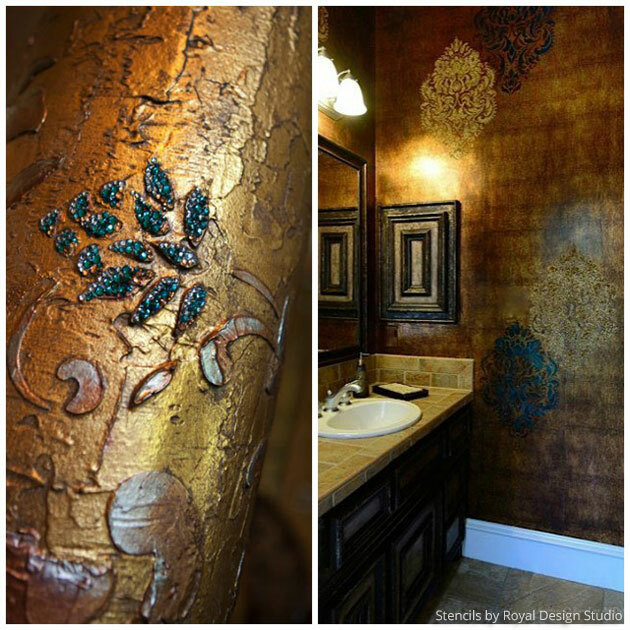 Using metal leafs with stencils add an intriguing new layer of luster and interest. 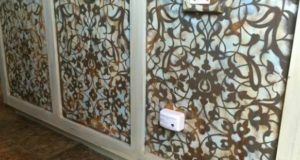 On this wall, we did a Copper Leaf Hydrangea Finish with our Black Royal Stencil Size, Copper Leaf and the Japanese Hydrangea Floral Stencil for a rich, incredible look. 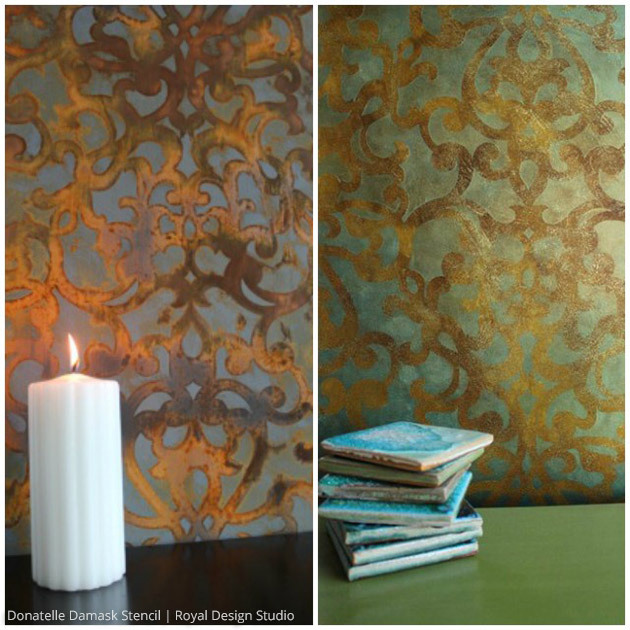 Artist Ali Kay used the Donatella Damask Stencil with Modern Masters Metal Effects to create a unique patinated finish that works perfectly well on walls, furniture and more. Stenciling a batik finish on fabric and clothing is SO easy with Jacquard Discharge Paste. 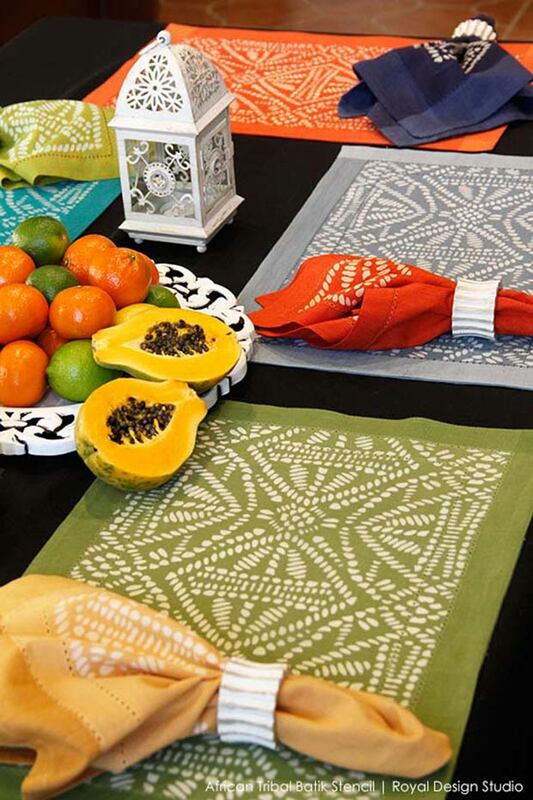 These colorful placemats from Pier 1 Imports received a gorgeous dose of pattern by ‘discharging’ the dye with the Tribal Batik Furniture Stencil. Paring Stenciling with Decorative Painting techniques is always a plus. Artist Ali Kay strikes again with a stencil project that started off with a relaxed and easy watercolor treatment as the base. Sparkles and Jewels and Glitter, Oh My! You can easily use Glass Beads, Rhinestones, Swarovski Crystals and anything that blings to add a luxe touch with your stencil pattern. Click in to our Stenciling with Glitz, Glass and Glamour post for more on these projects! 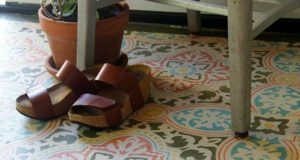 Using stains with stencils is a perfect way to get an inlaid marquetry look for way, way less. 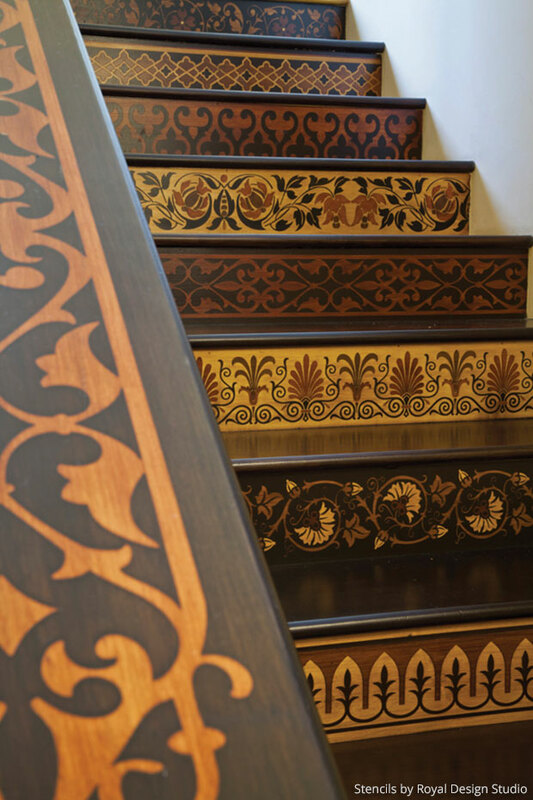 These stenciled stairs benefited with a faux marquetry finish that’s easy to do and will leave your guests oohing and ahhing at your creative talent. 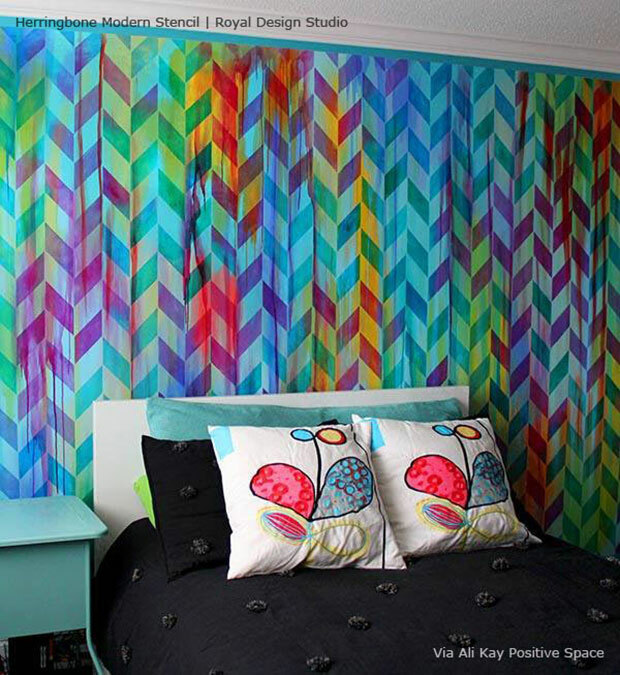 Have we inspired you to look beyond paint for your next stenciling project? If you have any creative ideas of your own to share, hit the comments and let us know! Have you ever considered writing an e-book or guest authoring on other websites?I have a blog based upon on the same ideas youdiscuss and would love to have you share some stories/information.I know my viewers would enjoy your work. If you are even remotely interested, feel free tosend me an e-mail.